The bushes are filled with small black-purple berries. A rebranding effort a few years back helped propel the astringent, anti-oxidant-rich chokeberry into the stratosphere of superfoods, as aronia. Karl will turn the aronia into wine. And that, in a nutshell, is the story of organic farming: finding natural solutions to nature’s challenges. 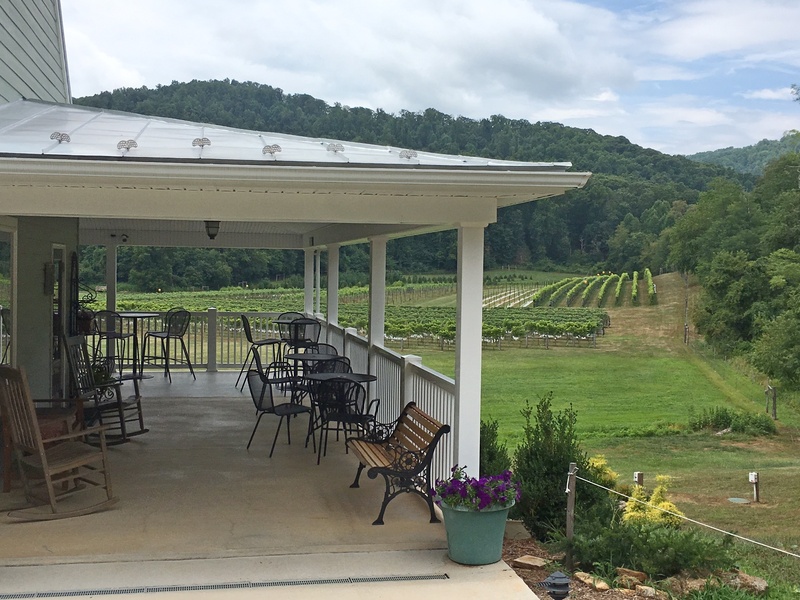 So with all the experimentation and whatnot, it comes as a surprise, when you visit, that Loving Cup Winery is more beautiful, and the wines are much better, than you might expect. And that’s not a side-eye to the wines; Karl’s wine-making education is solid, including a long stint with the highly respected Veritas Vineyards. 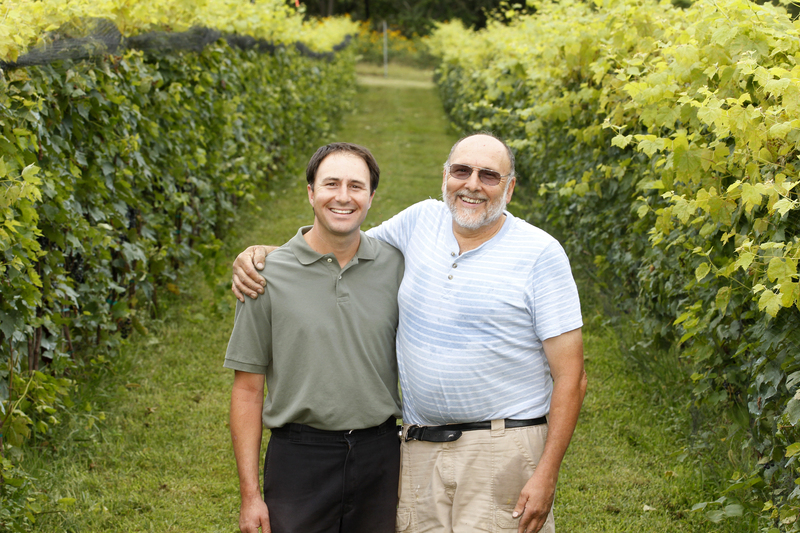 But his work in the vineyard, and his partner and father, Werner, who owns the farm and runs the tasting room, is what makes Loving Cup succeed. That, and doggedness in the face of the usual predictable, and unpredictable, challenges. In November of 2015, huge, rogue winds ripped the roof off the winery, forcing an early closure for the season. Then in 2016, two freezing nights killed off two thirds of the vineyard crops. For wine to be certified organic, both the grapes and the winery have to be certified, through separate, multi-year, federally-mandated processes. 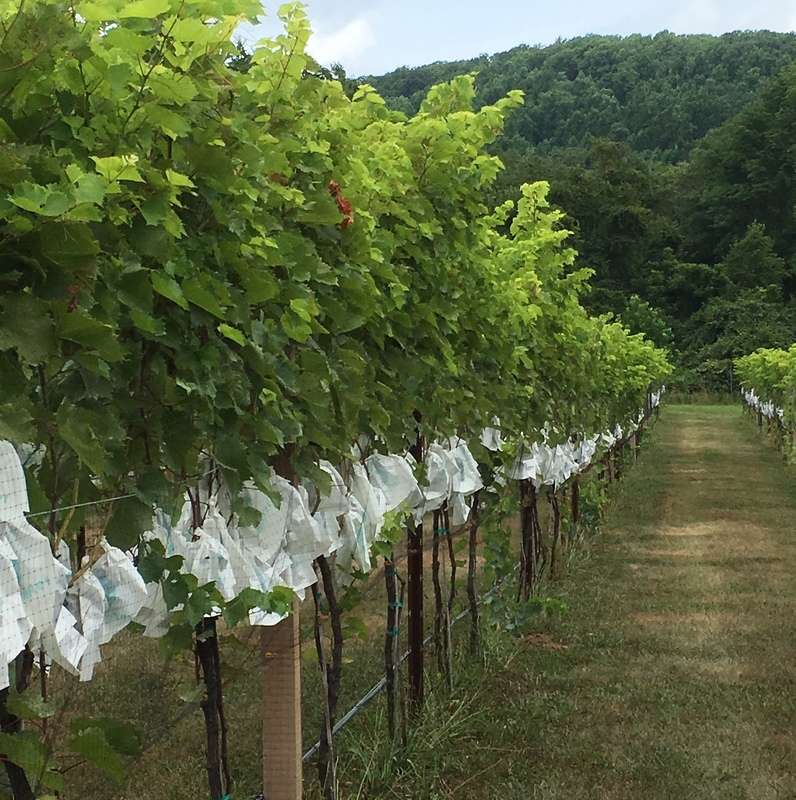 Loving Cup’s vineyard was certified-organic in 2012, and the winery in 2016, and certifications must be renewed annually. « In Like a Lamb…..?